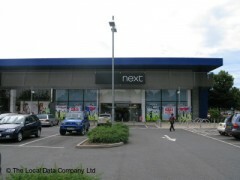 About: Next is part of a large chain of clothes shops, selling classic and contemporary fashion items for both men and women. It is suitable for all ages from 20 to 40 years of age, and also has a children's section. In addition to this, they sell a range of accessories for the home which also make ideal gifts.